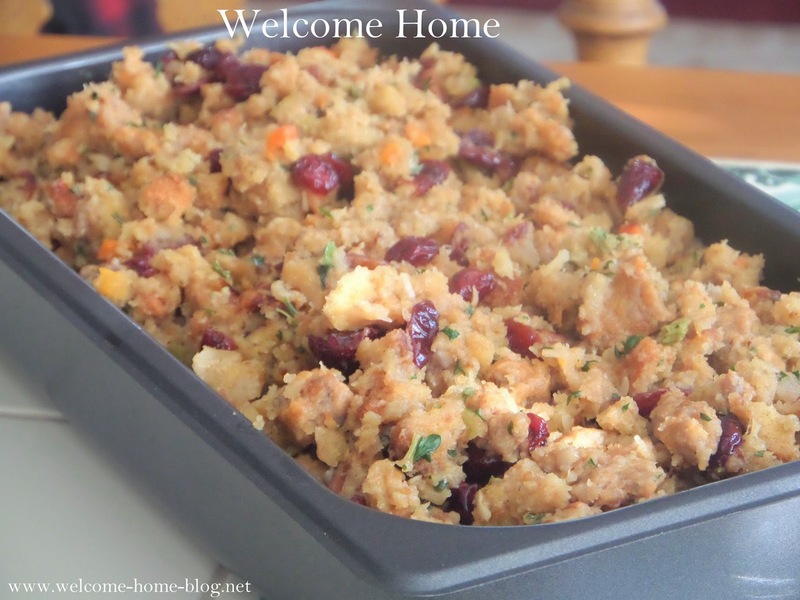 People love my homemade stuffing (dressing) and it is always a big hit every year. I make it the way I personally think dressing should taste and it comes out just perfect every single time. Not too many people know my secret. You see I don't like big chunks of wet soggy bread in my stuffing so I use the seasoned mix of breadcrumbs from a store bought stuffing mix. Then I add my own flavors and go...od things to make it perfect! You will be amazed at how this simple shortcut turns out incredible flavors in a this homemade stuffing! In a a very large saucepan or dutch oven, add broth and butter and heat until boiling. Turn down heat and add the seasoned breadcrumbs from stuffing mix and mix well until crumbs have completely absorbed the liquid. Use the additional water if you think you need it. If there is a seasoning packet with your stuffing mix, add that too. Add in the sausage and vegetables. Add in pecans and cranberries and apples if you choose to use them. Mix well to combine all ingredients. Pour mix into prepared pan and cover with foil. Bake for 30 minutes and then uncover and bake 15 minutes or until the top is slightly crisp and the stuffing is heated through.